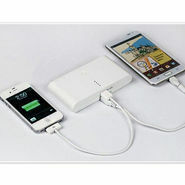 Mobile chargers undoubtedly play a very important role which in anyways cannot be neglected. A mobile charger may seem similar to the other mobile accessories but its relevance for a mobile is undeniable. In fact. it won't be wrong to say that this is the only accessory which allows the functioning of all other accessories related to mobile phones. Like a life-blood for the mobile. a charger pumps in the power to the battery and hence mobile phone gains its conscious. With all the technological innovations on its full swing. the mobile chargers have evolved in all together as a new sphere. The mobile chargers had a long success history. from USB travel chargers to power banks portable charger. Everything has a new edge now! 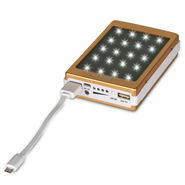 Naaptol.com hosts an array of these mobile chargers to ease your shopping experiences. Delivering the best of our services. we have always endeavored to bring you with the latest mobile chargers. The mobile charger online shopping in India has certainly broken the entire cult and drove this portable accessory to a new horizon. Apart from this. before buying a mobile charger one should be definite about the handset model and the brand. Some of our esteemed manufacturers include Sony. Nokia. Samsung. Apple. Blackberry. HCL and many more. However. 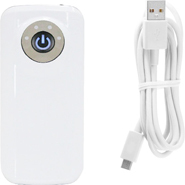 the mobile chargers price in India varies from brand to brand and type of charger you choose. The market has been flooded with an array of branded chargers and their first copy chargers and that's how the price fluctuates. With us. you will relish a new hemisphere of shopping trivia. plus to add to your banks we offer handsome discounts and other benefits as well.